Acme food and Pharmacy is a full service store for grocery products that is operating in Montrose. Headquarters of the organization is in Akron, Ohio. Best products offered by this full service store are dairy products, meat products and pharmacy products as well. The store is also popular for offering wide range of sprints. Customers often visit the store to purchase prepared food meat food items. Generally, grocery products are also offered here with other mentioned products. Food items offered in this grocery store are free of gluten, are low in calorie, are sugar-free and are prepared naturally. Special food items are also available for vegetarian customers. 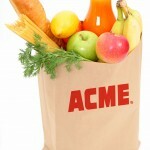 There are currently 0 consumer reviews about Acme Food and Pharmacy available. Share your review. Please take a note that you are about to post a public review about Acme Food and Pharmacy corporate office on CorporateOffice.com. This review will be public, so please do not post any of your personal information on this website. If you would like to contact the corporate offices of Acme Food and Pharmacy, please use their contact information such as their phone number, website, and address listed above to contact them. However, sometimes staff from Acme Food and Pharmacy headquarters do read the reviews on this website.